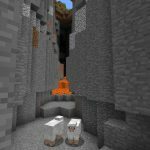 The rarer the features at game spawn the better. 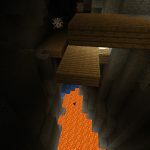 That’s why we love woodland mansion spawn seeds so much. Spawn with two villages to explore right from game start. The first village is a savanna village (and the closest to the game spawn point). There is a blacksmith present. The second village sits on a plains biome, extending into a small lake or pond beside it. Resources are plentiful and there are a few different wood types to capitalize on as well as a good population of animals near both villages. We didn’t look under the wells in the villages but a quick test with the locate command tells us there’s nothing worth digging for. 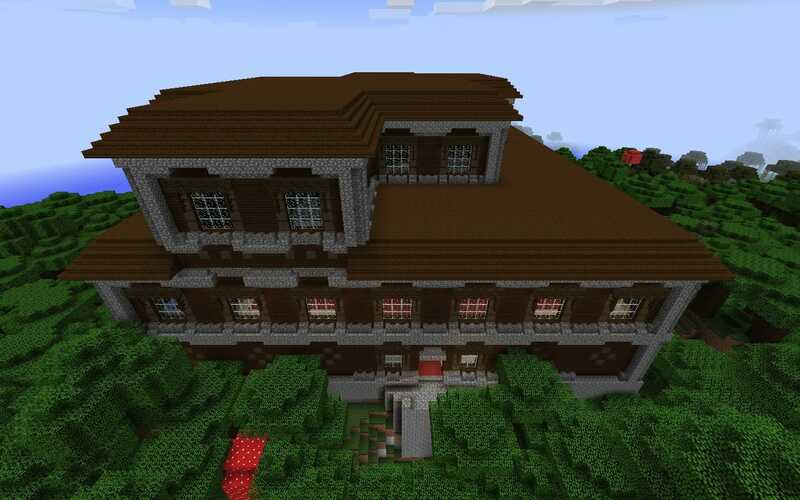 Game spawn is on the edge of a ravine in view of the mansion. 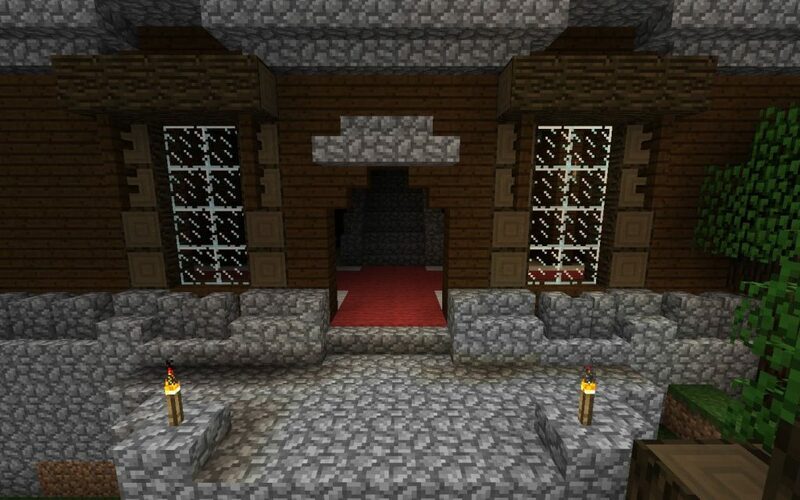 The entrance to the woodland mansion. Lots of water, but there is also a witch’s hut nearby and a pack of wolves across one of the oceans. Didn’t exist on my seed. Why do contribute fake stuff? OH MY GOD IT’S NOT A FAKE THX SO MUCH!! OMG it looks sooooo cool I can’t wait to try it! Thanks for the seed! worked for 1.12.2. not a scam or fake. I am currently renovating every room making it my own (slightly changing some rooms while completely changing others) liking. PS, the cat scared the hell out of me when I first found it walking around aimlessly, then the chicken did. yeah you definetly need to give us the coordinates. its so confusing! 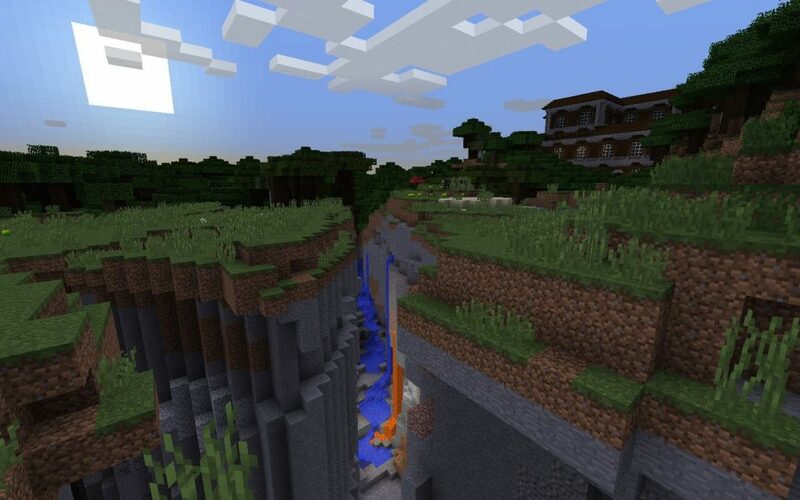 I tried it, its either a fake, or isn’t compatible with 1.13. Some coordinates would be nice. it doesn’t work… does it?